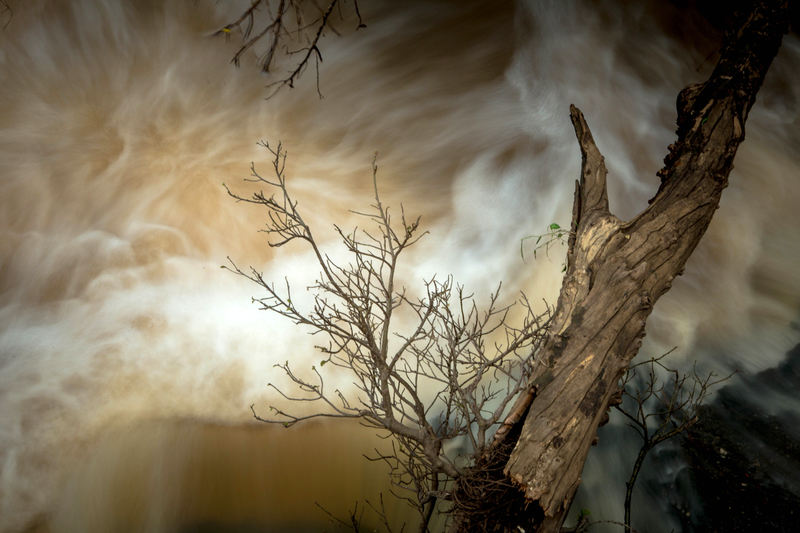 KENYA, Nairobi: A stream swollen by seasonal rains rushes past a fallen tree branch in Nairobi National Park, 17 May, 2015. Adjacent to the Kenyan capital and the East African regional aviation hub, Jomo Kenyatta International Airport, Nairobi is the only metropolis in the world that has a National Park right next the city limits and where the big game of Africa, including lion, leopard, buffalo, black rhino, giraffe, hippo and a wealth of birdlife can be viewed in the wild a mere 20mins drive from the city centre and the airport. Another unique feature of the park is that Nairobians, tourists or even transit air travellers have the option of spending just a few hours, a half or full-day in the park due to its close proximity to the Kenyan capital, or even reside overnight inside the park at Nairobi Tented Camp. GRAYLING KENYA PHOTO / STUART PRICE. Photo by Make it Kenya.